Bob Weinstein has denied an allegation that he sexually harassed a television showrunner just last year. According to Variety, Amanda Segel – executive producer of TV series The Mist – alleges that Weinstein continually made unwanted advances despite refusing on numerous occasions for three months in 2016. Segel claims she agreed to go to dinner with Weinstein in a bid to establish a professional working relationship, however grew uncomfortable when Segel asked inappropriate questions. She alleges that the producer wanted to know her age as he didn’t want to date anyone younger than his daughter. After driving him back to his hotel, she allegedly declined an invitation to his room. It’s claimed Weinstein continued to email Segel stating he wanted to be friends and, as the dinner invitations piled up, he joked that he was her boss and could fire her if she didn’t say yes. She says she accepted but brought along another male producer. According to Segel, the producer went on to become angry and “screamed” at her over an issue that wasn’t her fault – it was here when she accused Weinstein of sexually harassing her for three months. It’s claimed that Segel’s lawyer, David Fox of Myman Greenspan, told The Weinstein Company executives that she would quit the Spike TV-produced series if he did not stop contacting her on personal matters. Weinstein’s lawyer, Burt Fields, issued a statement denying the claims. It reads: “Variety’s story about Bob Weinstein is riddled with false and misleading assertions by Ms. Segel and we have the emails to prove it, but even if you believe what she says it contains not a hint of any inappropriate touching or even any request for such touching. The allegation against Weinstein comes in the wake of the scandal surrounding his brother Harvey who faces over 30 sexual harassment and assault allegations from female actors and journalists including Angelina Jolie, Gwyneth Paltrow, Cara Delevingne and Game of Thrones star Lena Headey. Weinstein was fired by the board of TWC and has been booted out of both the Oscars Academy and BAFTA with his name etched from forthcoming television series including Project Runway and Peaky Blinders. 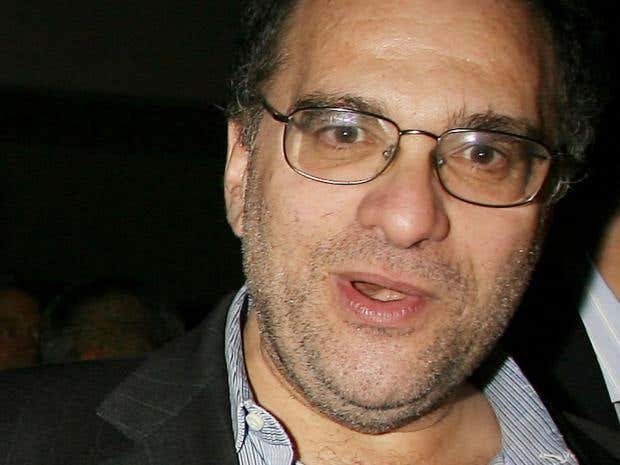 In light of the allegations, Bob Weinstein claimed he was unaware of his brother’s actions and criticised him heavily him for his “lack of remorse” in an explosive interview with The Hollywood Reporter.